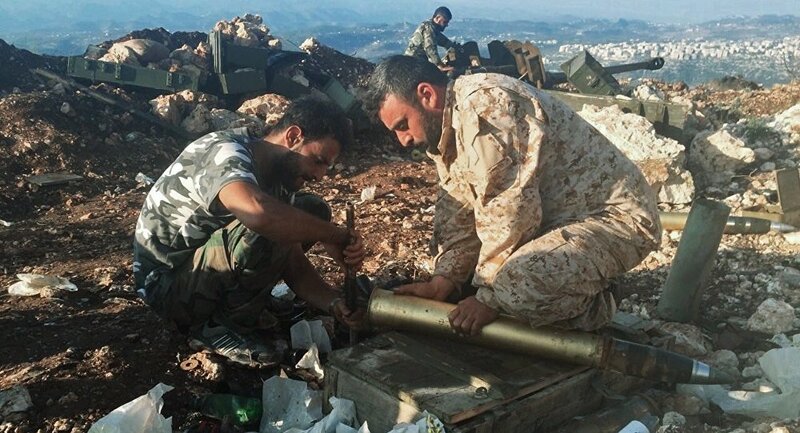 The Syrian Army captured militants' positions in the Northern parts of the coastal province of Lattakia and took over the Ghamam town and its surrounding mountains. According to the National Defense Forces (NDF) sources inside the town of Slunfeh, the Republican Guard and their allies entered Ghamam after intense firefights with the militants on Sunday. The sources further added that the Russian Air Force’s MI-24 Hind Helicopter Gunships were seen flying above the Syrian Army and attacking enemy fighters, Fars News Agency reported. The Syrian Army also stormed a main command center for ISIL in Almrieih farms in the Eastern part of the country, killing a large number of terrorists. In Deir Ezzur, soldiers claimed lives of at least 20 terrorists and destroyed the group’s military equipment. Syrian warplanes further demolished the hideouts and command centers of Jeish al-Fateh terrorists in the villages and towns of al-Lataminah, Skaik, al-Mestriha, Tal Hawaqs, Wadi Jafar and in the vicinity of al-Tawbah School on the outskirts of Hama and Idlib. Also on Sunday, the Syrian army won back two villages in the Northern Province of Aleppo bringing the number of the liberated villages and towns in the past 24 hours to 13, FARS agency reported. At least 33 terrorists were killed and injured in Syrian airstrikes on the Takfiri militants' positions in Damascus countryside. Syrian warplanes carried out pinpoint airstrikes on militant locations in Jobar, located in the Damascus countryside, and killed and injured at least 33 terrorists, sources said, adding that the terrorists' vehicles and weapons were also destroyed in the air attacks.